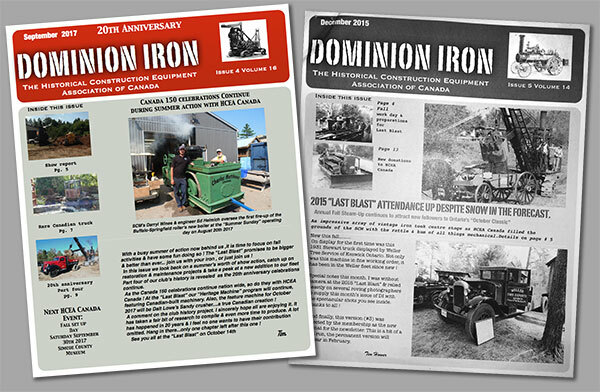 Our newsletter “Dominion Iron” is distributed 5 times per year to our membership. Each issue offers 20+ pages of images, event listings, news, restoration updates, history, company profiles, etc. Mailed copies are printed in black and white. Members can view and download a colour PDF by logging in below.